Just when you thought you were getting the hang of social media, everything changes! Facebook, Twitter, Instagram, Snapchat etc. They’re evolving beasts. Every year they expand and change. In fact, 2016 is going to see bigger changes than ever before. Why? Well, mostly because of money. More specifically, the fact that most of them haven’t made any yet. (Except Facebook, who are rolling in it). As for Snapchat, Pinterest, and Twitter (especially Twitter), their bigwigs are getting very concerned about revenue. The core function of social media is changing too. There’s a glut of content, and brands are struggling to reach everyone. So changes are coming. Big ones. And that means you’re going to have to adapt your social media techniques. Facebook already drives business-owners crazy with their ‘pay-to-promote’ option. But it’s about to get even worse. 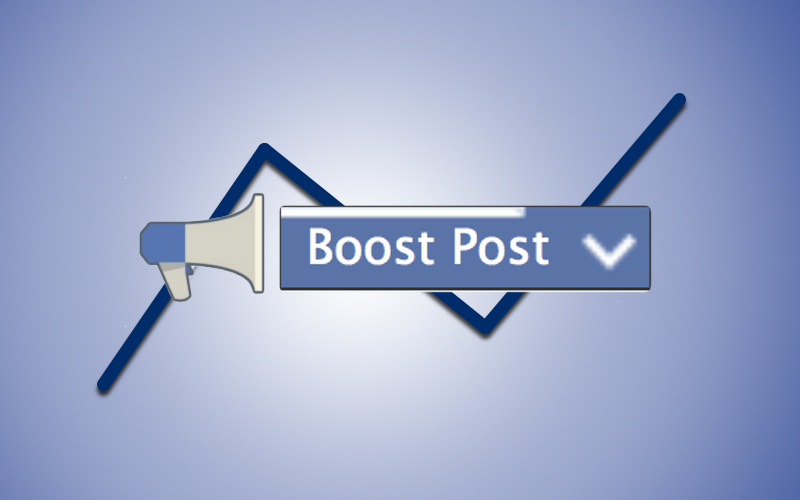 Currently, your Facebook posts are only reaching about 16% of your followers. This is a statistic from Facebook HQ, and it’s done on purpose. To reach a bigger percentage, you have to pay to ‘boost’ or promote your content. It’s annoying, but it’s how Facebook pays the bills. Over at Twitter HQ, things are going in the same direction. Twitter needs to prove to its shareholders that it can make money. So in 2016, we’ll see a Facebook-style pay-to-promote system. They’re also building a ‘Tweet Rank’ algorithm that will prioritise tweets (ie. push down unpaid tweets). Just like Facebook and Google use. If you want to reach all your followers in 2016, you’ll have to start increasing your social media budget! Live feeds are the next big content phenomena. In Twitter land, the much hyped ‘Periscope’ feature launched in 2015. But, we’re about to see just how powerful it can be. Right now, 40 years of live feed video are streamed every day on Periscope. And no, you didn’t read that wrong! If you need an example of how powerful this is, just look at how many people watched a live stream of a puddle in the UK last week. Snapchat are another dominant player here. Snapchat Stories broadcasts live streams to 20 million eyes every single day. It also shows that Snapchat is more than just a one-trick pony, and you definitely need a Snapchat strategy (more on this later). Facebook now also have a similar feature called “Live”. They’ve let high profile celebrities loose with the platform to stream directly to their fans. Meanwhile, the biggest name in live streaming, Twitch, is seeing its views triple year on year. Twitch is a gaming phenomenon where users watch gamers in real time. But, the platform has been bought by Amazon, so it’s sure to rocket into the mainstream in the next 18 months. Start thinking about how you and your business can use live streaming on Twitter, Facebook, and Snapchat this year. It’s going to be big. Shop owners and ecommerce entrepreneurs, pay close attention. This one’s for you. Think about how often you scroll through Instagram or Pinterest and see a product you’d love to buy. Wouldn’t it be amazing if there was a simple ‘buy’ button next to the image? Well, in 2016, you’re about to see them everywhere. They’re actually already in use on Twitter, Instagram and Pinterest accounts. But, only a quarter of retailers are currently using them. If you’re a seller, learn how to apply these ‘buy’ buttons to every social post you make. Think of all the impulse purchases! Think of the seamless user experience! At the moment, we tend to use social media to share links to content. We write blogs on our website, and then post links to them on Facebook and Twitter. Or we create YouTube videos, and then link to them from social platforms. Facebook are already doing this with video. They prioritize their own video format over YouTube. It kind of forces you to upload video directly to Facebook. Rather than sharing a YouTube video. They’re about to do the same thing with written content, with a service called ‘Instant Articles’. The New York Times, Buzzfeed, and National Geographic are already signed up to start using it. It means that Facebook will host the content on its news feed. You won’t have to click through to a website or wait for it to load. Basically, Facebook want you to stay on Facebook for longer. Without clicking away. Twitter are doing a similar thing with ‘Twitter Moments’ which shows you all the biggest news stories from around the world. It’s curated by publishers, but without having to click away to their website. Snapchat, meanwhile, have their ‘Discover’ service. Publishers like Vice, Buzzfeed, National Geographic, and Mashable all curate content inside the app. In 2016, content will become much more integrated. As a small business, Facebook’s ‘Instant Articles’ will prove very useful for you. Aside from the ‘big two’ (Facebook and Twitter), there are a handful of other social media platforms and apps. Vine, Pinterest, Google+, LinkedIn, etc. Instagram and Snapchat will rule 2016. Facebook is saturated, and Twitter’s numbers are flatlining. On the other hand, Instagram and Snapchat are the fastest growing apps on the planet. Especially with the influential ‘millennial’ age group. As for Snapchat, it’s still untapped territory for brands. There are 100 million active users daily. And more than 70% are under 34. Show people behind the scenes of your business with real-time snaps. Partner with Snapchat influencers to reach your target audience. And take out advertising within Snapchat Discover. The Facebook search engine is terrible. I don’t think anyone would disagree. But, there are very positive whispers about Facebook’s new search engine. They rolled it out in October 2015, (nicknamed Search FYI) and it lets you search for real-time news, conversations, and information. They’ve indexed over 2 trillion Facebook posts to gather this info, and Mark Zuckerberg claims it will compete with Google. Meanwhile, over at Pinterest, you can now highlight a particular part of an image, and use that to search for similar products and images. Social search is finally getting good! 2015 will probably be the last year where our private message screens remain sacred. The private message areas are actually the most social of all. Whether it’s WhatsApp groups, Facebook Messenger, SnapChat or WeChat. 36% of the smartphone population are using them, but very few brands have carved their way into this private space. In 2016, brands will get much more personal, and work their way into these private social media messaging. Facebook is now in control of WhatsApp, so expect native content to start creeping in. 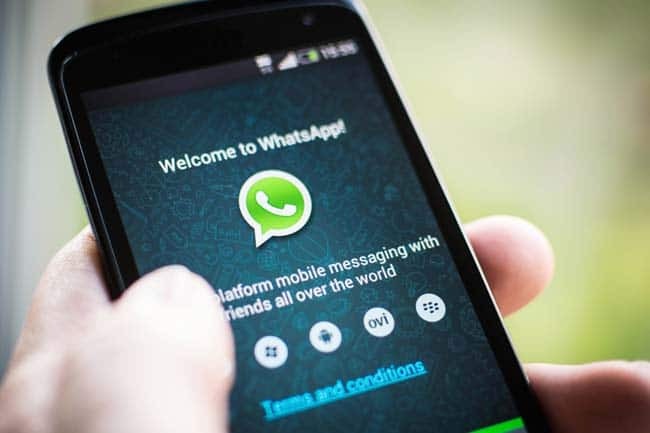 Although WhatsApp are fervently against advertising, there are rumours that they will potentially charge brands to directly message users. As a small business, I love social advertising. Especially Facebook ads. For starters, Facebook gathers a tremendous amount of demographic data that users happily upload. Ages, location, relationships etc. But, Facebook also track and index your likes, dislikes, and conversations. They’re tracking whether you had a baby recently or if you post about XBox games all the time. Facebook then lets brands access this data. In 2016, this is about to get even more powerful. Facebook have created a monster algorithm to index information, tapping into conversations to find out more about its users. They’ve also just introduced ‘communication tools’ that lets pages learn more about their fans and followers, as well as improving their keyword system. 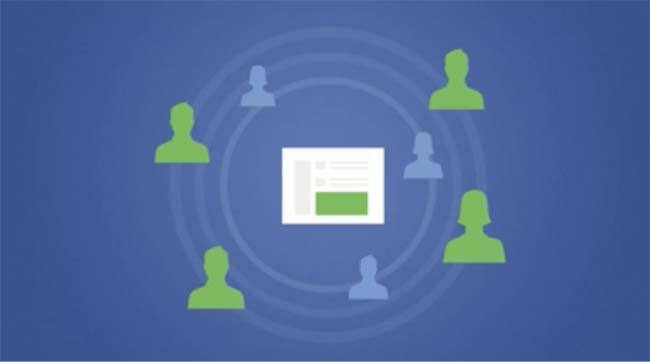 Quite simply, Facebook is giving brands a bigger microscope to target their audience. The question is how much advertising insight is too creepy? When brands start advertising at you based on a personal conversation you had on Facebook, is this too far? Use your judgement carefully when tapping into this powerful advertising data! This year, brands can no longer afford to pass these messages off to a customer service email. 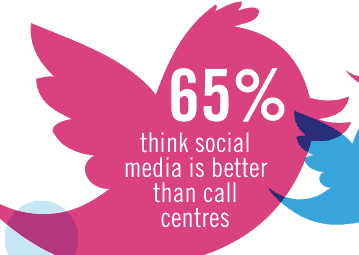 Customers will expect answers quickly and directly through the social media platform. Your social media team and your customer service team will have to work closer than ever before. I suggest getting your hands on Sprout Social; it’s a solid social media software that allows you to assign tickets to queries and feedback that come in through Facebook or Twitter. Each ticket is tracked, so you’ll never leave a customer feeling ignored again. For the last five years, brands have focused firmly on virality. ‘Going viral’ has been the definitive goal. Brands are slowly realising that reaching everyone is expensive, unpredictable, and ultimately fruitless. ‘Going viral’ was a stab in the dark. And, if you were lucky enough to have your content ‘go viral’, it didn’t necessarily translate into sales or results. Brands have now realised that reaching 1,000 highly targeted and relevant leads is far better than reaching 1,00,000 random people. Investors and advertisers tell me they’re now looking for engagement rather than sheer reach too. As a small company, think about how you engage the right audience. Forget reaching everyone, reach the right people in 2016. 11. Fewer little fish, bigger big fish! In the last decade, Silicon Valley has thrown up more social media startups than I can count. Vine, Ello, Tumblr, Hyper, Digg, Hi5, etc, etc. We could go on. This legion of smaller social media platforms all bubbled up over the years. But, the growth of smaller startups is slowing down. In 2016, there will be less chatter about hot new startups. And the big names will truly solidify themselves. Expect the big names to gobble up the promising little ones. Facebook is already on an acquisitions rampage, buying WhatsApp, Instagram, Oculus Rift etc. Twitter bought Periscope, Vine, Zero Push etc. Expect to see less hot startups, while the big names grow even bigger. 12. Social share rates will continue hemorrhaging. Badly. 2 million blogs are published every single day. Some of the biggest names in the industry (Moz, Buffer, Copy Blogger), have documented up to 50% dips in social sharing. And it’s all because of content shock. There’s too much to digest, so we can’t possibly read or watch it all. We can’t possibly share it. So, what’s the answer? Content alone is no longer good enough. A great article or video is the bare minimum you should be creating. In 2016, we’ll see the biggest publishers experiment with new forms of content. They’ll have to! The usual stuff is no longer cutting through. Expect to see content you can play with. Expect swiping and moving. Expect interaction and engagement. Check out Pitchfork’s ‘cover story’ articles to see how content may begin to move and engage readers. Or The Guardian’s interactive guide to the Second World War. 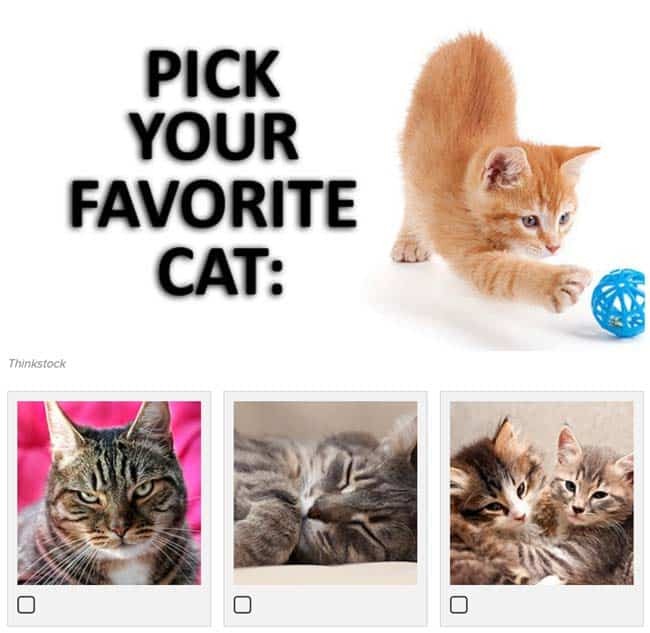 On a simpler level, look at Buzzfeed’s quizzes. (Their most popular area of content). Do more with your content in 2016. Meanwhile, Instagram and Snapchat are mobile-only platforms. Your social media strategy in 2016 must revolve around the mobile experience. The key here is thinking simple. Simple images, simple copy. Be striking, but direct. Make it bitesize and powerful. Most importantly, think about where you’re linking to. If you’re linking back to your website, make sure it operates like a ninja on mobile devices. We’re in for a bumpy, but exciting ride in the social media world this year. In the boardrooms, the conversations are all about money. How will Twitter, Instagram, Snapchat turn users into revenue? Expect this to impact your social strategy in a big way. As for users, they’re suffering from content shock. Only unique content and big budgets will help you reach them. So, focus on getting more targeted, more engaging, and more personal. What are your big predictions for social media in 2016? Next, read The 13 Most Powerful Social Media Tools.